What Sets Us Apart From Other Cancer Treatment Centers in Nevada? Las Vegas CyberKnife® Center is the first and only Las Vegas cancer center to deliver precise radiation treatments for a wide range of cancers. No matter what your diagnosis is, when you search for cancer treatment centers in Nevada, consider how our advanced technology can provide you with new hope. 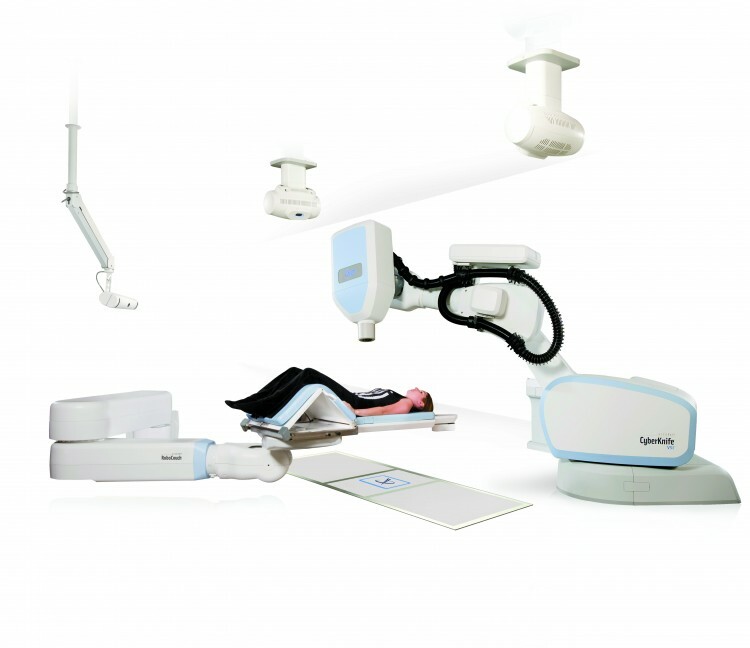 The CyberKnife System earned FDA approval in 2001 for the treatment of cancerous tumors throughout the body. The CyberKnife System delivers a high dose of radiation directly to the cancerous tissue with pinpoint precision. Unlike conventional radiation therapy treatments, the CyberKnife System is designed to respond to the movement of the tumor as a result of respiration or other involuntary bodily functions. 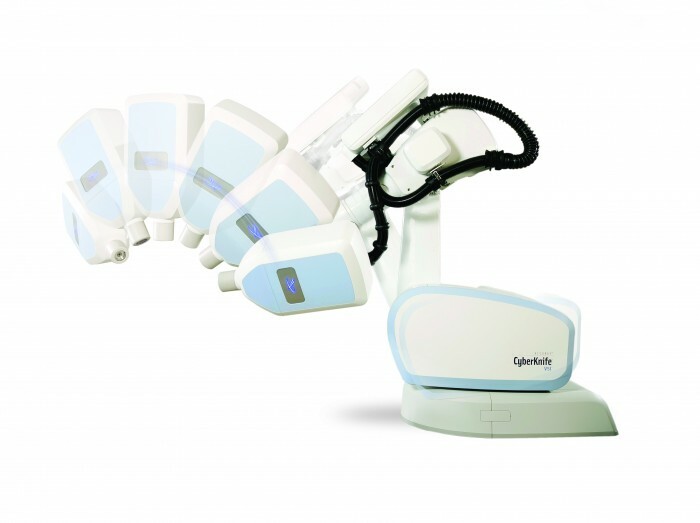 During treatment, the CyberKnife Systems continually calibrates your tumor’s position through a unique combination of real-time imaging and intelligent tumor tracking – remaining on target throughout treatment. CyberKnife uses a patient’s bone structure as a point of reference to locate the tumor. In some cases, your doctor may insert three to five fiducial markers — tiny golden seeds — into your tumor to help the CyberKnife System locate it. Not all patients need fiducials, but if you do, they can be inserted as an outpatient procedure. As a result of its advanced tumor tracking technology, the CyberKnife does not require invasive procedures or uncomfortable stereotactic frames to be bolted to a patient’s skull. You simply lie back and relax while the CyberKnife System’s robotic arm moves around your body, targeting radiation at your tumor. Because of its pinpoint precision, the CyberKnife System minimizes damage to healthy tissues around tumors, which results in fewer, or no, side effects. There’s often no pain or sickness, like you would experience with conventional radiation treatments; nor is there any need for an overnight hospital stay. Patients can typically go home, and resume their normal daily activities, after each treatment session at our cancer center in Nevada. Our expert oncologists will make sure your comfort during treatment is a priority and will discuss the possibility of side effects. Medications to ease side effects are available to patients who need them. Each CyberKnife treatment session at our Nevada cancer center takes between 20 and 90 minutes to complete. Treatments are completed in one to five sessions, usually in the course of just one week. That’s a vast improvement over the 25 to 47 sessions patients need with conventional radiation therapy.